I have been indebted to “Kentshoes” for a long time since I was a student. Although I tried cheating on other manufacturers several times, I will come back to “Kent shoes” eventually immediately without crushing those shoes. Fitting softly and supporting your feet can only be felt at “Kent shoes” ‘s shoes. 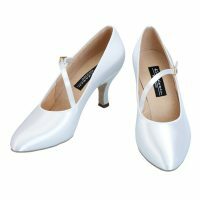 I practice and work more than half of the day with “Kent shoes”, but I am very grateful that “Kent shoes” says that I can dance without trouble in my feet. I will wear a new shoe at the time of the match, but I can dance as daring as it fits like a shoe that I am accustomed to. Those who have not worn shoes “Kent shoes” yet Why do not you come and visit the shop once. If you wear shoes as advised by the president, you will definitely improve your dance! 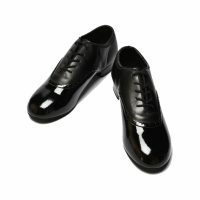 When I first wore the “Kent shoes” dance shoes, I still remember being surprised and gentle with a fit like a foot.Choosing dance shoes is more important than outfitting shoes, so wearing shoes that matched himself when practicing, lesson time, and at the time of the match is a way to improve your dance and lead me to the outcome of the game I am thinking.I am very happy to be able to sponsor Kent shoes who has always been loyal!People who have never worn, please try ‘Kent shoes’ shoes at least once!